Home / Blog / WHAT HAPPENS TO AN AFRICAN GIRL’S EDUCATION WHEN SHE GETS MARRIED AT AN EARLY AGE? WHAT HAPPENS TO AN AFRICAN GIRL’S EDUCATION WHEN SHE GETS MARRIED AT AN EARLY AGE? In Nigeria, 43% of girls are married off before their 18th birthday; 17% are married before they turn 15, while 60 per cent of the 10.5million children out of school are girls. A research work by the National Centre for Biotechnology Information reports that the percentage of girls married before age 18 in Niger is 77%, in Chad 71%, in Mali 63%, in Cameroon 61%, and in Mozambique 57%. In parts of Ethiopia, 50% of girls are married before the age of 15, and in Mali, 39%. Some marriages even occur at birth; in such instances, the girl is sent to her husband’s home at the age of 7. Significantly, the Nigerian Constitution does not establish a minimum age of marriage. However, the Child Rights Act, which was passed in 2003, sets the age of marriage at 18 years-old. However, only 23 of Nigeria’s 36 states have taken concrete steps to implement the minimum age of marriage. Child marriage effectively ends a girl’s childhood, curtails her education, minimizes her economic opportunities, increases her risk of domestic violence, and puts her at risk for early, frequent, and very high-risk pregnancies. More than 60% of child brides in developing countries have no formal education. Many are forced to engage in petty trade immediately after birth. Because they are less educated, they have no decision of their own and are always at the mercy of their husbands. Attempt to question the authority of their spouse at times leads to assault with no one to report to. Of buy provigil online reviews course, it can’t. Urgent action is needed to prevent thousands of girls from being married in the coming years. To stop child marriage, policies and programs must educate communities, raise awareness, engage local and religious leaders, involve parents, and empower girls through education and employment. 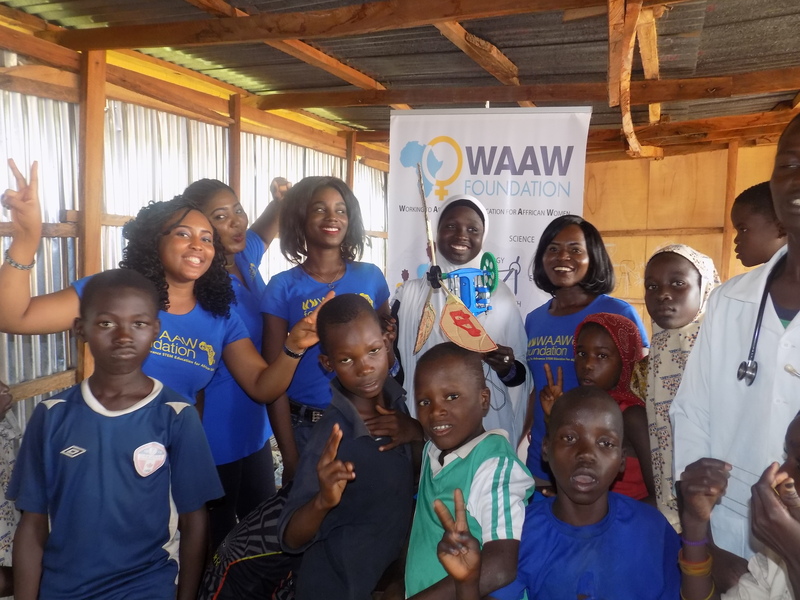 It is no news that Working To Advance Science Technology, Engineering and Mathematics (STEM) Education for African Women (WAAW) Foundation has always been in the forefront of eliminating barriers limiting the girl-child from accessing formal education. The foundation which was established in 2007 by Dr. Unoma Ndili Okorafor has given Scholarships award to over 20 female scholars from different higher institutions across Africa since 2002. 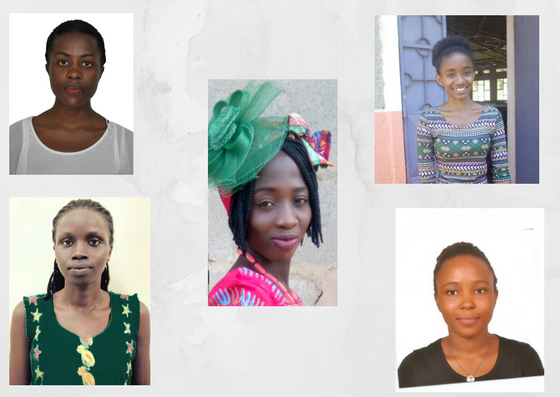 This year alone, five African female scholars were awarded scholarships award. In May 2017, the Foundation held a two-day training workshop for IDP girls in Durunmi, Abuja, Nigeria. These are girls with little or no level of education. They were trained on electricity generation using locally constructed wind mill made from materials such as wooden stick and cardboard (carton). The training, in partnership with Strong Enough Girls’ Empowerment Initiative, donated sanitary pads to girls and women at the IDP camp to encourage proper menstrual hygiene. In the same vein, John Bosco, Business Manager for Abuja Technology Village (ATV) Foundation, Oluwatoyin Oluwaniyi of EduTeens Science Development Foundation, and Barrister Aisha Ngada engaged them in career talk. These are some of the many wonderful intervention programmes WAAW Foundation has implemented to empower the girl-child and give them a future of their own.